Para Ordnance 14.45 LDA Ltd. 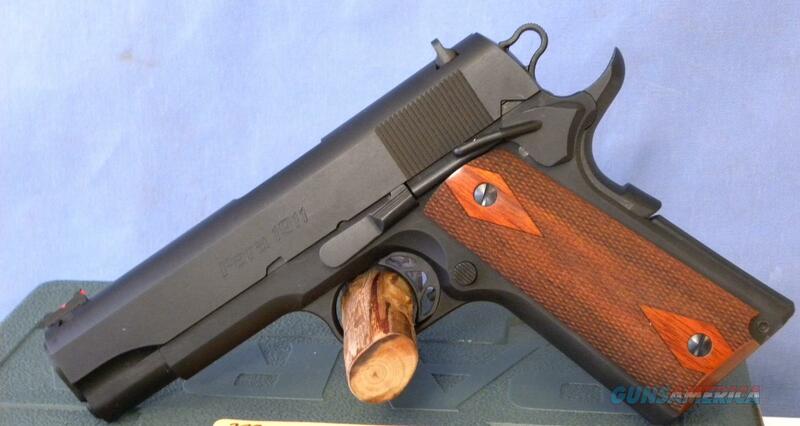 Description: NEW PARA 1911 LIGHT WEIGHT COMMANDER PISTOL IN .45 ACP WITH 4.25" BARREL AND TWO 8 ROUND MAGS. HAS BLACK PK2 FINISH ON STEEL SLIDE AND ALLOY FRAME. HAS SAO TRIGGER, WOOD GRIPS, BEAVERTAIL GRIP SAFETY, FIBER OPTIC FRONT SIGHT TWO DOT WHITE REAR SIGHT, COMPETITION TRIGGER, SKELETONIZED EXPERT HAMMER. COMES WITH HARD CASE, MANUAL, LIFETIME WARRANTY AND TRIGGER LOCK.